Joao Domingos Bomtempo is regarded as one of the first promoters of native Portuguese music. His compositional influences in his music derive from Paris, to which he moved in 1801. In 1821 he finally made his home in Portugal. He had formed Portugal's first concert organization, the Philharmonic Society, in 1822. 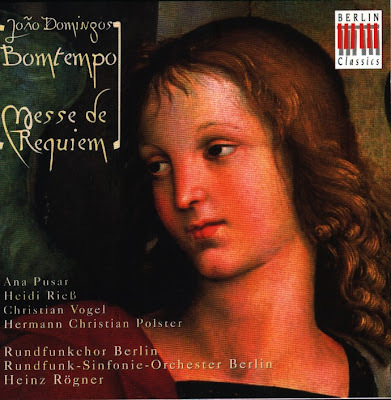 The Requiem was composed in Paris in 1819, the original title is: Messe de Requiem consacrée à la mémoire de Camoes. In the Requiem the choir takes a dominant part of the work, the soloists making only occasional contributions. Many text passages, which are set for solo performance in other great Requiems, remain in the background. The Compact Disc was released by Berlin Classics,1997, (ADD). Berlin Classics 0092452BC.